Huawei has been using the “higher intelligence” tagline to build buzz around the Mate 20 family of ultra-high-end smartphones, but while advanced AI skills will no doubt be highlighted as a key selling point tomorrow, there’s plenty more to be excited about. Insanely fast battery charging is another big feature revealed by newly leaked promotional materials, reiterating a number that’s already come up in a few speculative reports. We’re talking a full 40 watts of power, eclipsing (at least in theory) the performance of almost every other rapid charging solution available today. Keep in mind that Huawei’s proprietary SuperCharge technology was already pretty impressive, needing just 20 minutes of wall-hugging action to provide a whole day’s use on the Mate 10 Pro (in certain conditions). 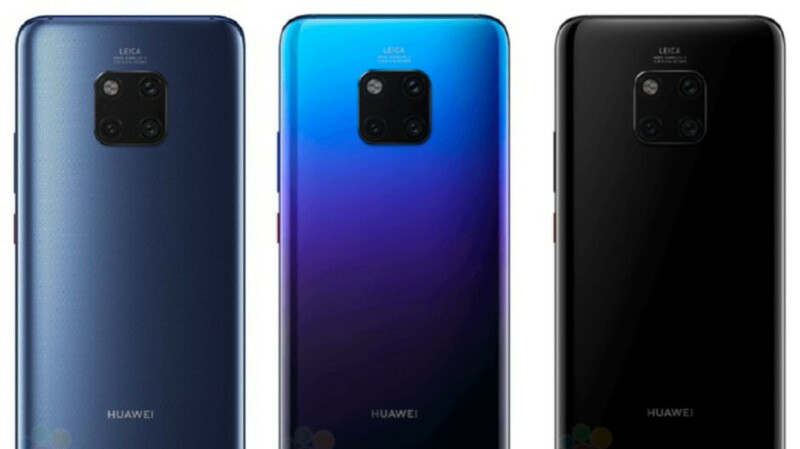 This time, Huawei is prepared to promise the Mate 20 will go from 0 to 100 percent battery capacity in a measly half an hour, despite packing a gargantuan 4,200 mAh cell. No separately sold accessories will be needed to score those numbers, offering Apple fans yet another reason to switch sides in the never-ending war between Android and iOS. Of course, it remains to be seen if the 40W power adapter of the Huawei Mate 20 and Mate 20 Pro can beat Oppo’s theoretically better 50W Super VOOC fast chargers out in the real world. Meanwhile, it shouldn’t come as a surprise that Huawei intends to aggressively promote its in-house 7nm-based Kirin 980 processor and a triple camera setup with “super wide-angle” and “super macro” photography capabilities as major Mate 20 series selling points. On paper the best phones on the planet. I'm really looking forward to using macro... And IR blaster, stellar noise cancellation, gigantic battery. Wonder what the compromise is going to be. Is it true they are using a didn't SD card from the micro sd? This phone is too good to be true IMHO. I just wonder what'll give tbh.